SC: I want to welcome you all to another edition of Watch Out. 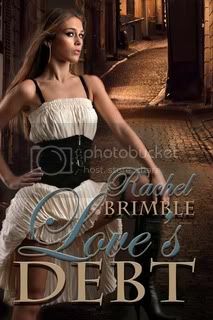 This week I’m excited to bring you a great author by the name of Rachel Brimble. Welcome Rachel, it is so great to have you here this week. Of course, I have been writing seriously for about seven years now and have six books published across the romance genre and my second novella coming soon. 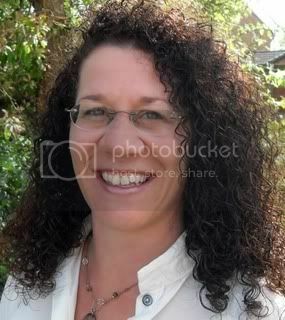 I live with my husband and two daughers in a small market town near Bath, in the UK. When I’m not writing, I am reading, knitting, walking or watching far too many US crime dramas or UK period dramas! SC: What is the one thing readers might be surprised to know about you? I am a survivor of the 2010 French floods where 28 people lost their lives. My family and I were holidaying in a caravan park and were rescued by helicopter from the clubhouse roof. I am using the experience in my current work in progress. It’s taken two years to be able to write about it clearly and concisely without the fear taking over. SC: Is there anything you are currently working on that you can give us a taste of? SC: How does your family and or friends feel about your writing career? I never have writer’s block! Every writer might come up against a problem but it can always be written through and edited. The most freeing piece of advice I was ever given was to ‘give yourself permission to write a crappy first draft’. Once you write all the way through the story without getting hung up on plot or character issues, you will get to the end so much faster. THEN the real work starts in draft two but at least you have more to work with than a blank page! SC: What is the one thing that surprised you in this industry? The promotion! Promotion takes up a lot of your creative time but it is necessary and if you approach it with the right attitude, equally as enjoyable. I have a routine now that means I allow an hour a day to complete interviews, write blog posts or judge contest entries. Once that hour is up then I stop and start writing. It works really well for me. SC: If you were not an author what would your dream job be? Working with animals – I love animals and feel a great affinity with dogs especially. I have always felt if I didn’t write I should be working at a zoo or a rescue center. Something like that. SC: Is there one specific genre you would like to be well known for? SC: What is the one pet peeve you have when it comes to publishing? Hmm…I don’t really have one. As time goes on, I appreciate every aspect of this business and don’t really have any gripes with it. The sooner authors understand this is a business and no one owes us any favors, the better. We work hard and it will pay off…eventually! See above – ‘allow yourself permission to write a crappy first draft’. You’ll never look back, I promise! Rachel, like you, I’d love to work with animals. Funny how writers and pets go alongside each other so well. Can’t wait to read Love’s Debt. Sounds like a fabulous read. Good luck! Rachel, thank you so much for being my guest this week on Watch Out. It is a pleasure to have you here. You did such a great interview.. Wonderful interview! I enjoy learning about author friends, and especially fellow Roses (no matter what publisher you’re hocking at the moment!). Congrats on another great release, Rachel! Great interview… and advice! Thanks Rachel! Glad to be here, Savannah and really enjoyed the questions! Do you mind if i pinch a couple to ask my own guests? They were great! Hi Cathie, my lovely friend! Still enjoying the sunshine? My laptop has never seen so much natural daylight, lol! Calisa, thank you for taking the time to stop by and check out my interview with Rachel. I’m glad you enjoyed it..
Dixie, thank you, and thank you for coming by to check it out..
Hi Rachel! Great interview. I thoroughly enjoyed Paying the Piper. It’s fun getting to know more about you. Hi Paty! For anyone who wants a fab read with one of the best heroines I read in awhile, you must read Paty’s “Outlaw in Petticoats”. So great! Wonderful to meet you Rachel. ‘give yourself permission to write a crappy first draft’ <<– Love this! Pretty pretty pretty covers! Make me want to run out and buy the books! I like how you’re able to do a one hour slot for promotion etc adn then clock off! I think that alone is a skill to learn. goo luch with the next release! Nice to meet you, Eden – the ‘crappy’ first draft really works! Try it! Hi, Nancy! It is a hard discipline but its amazing how much you get done when you’re on the clock. Works for me! 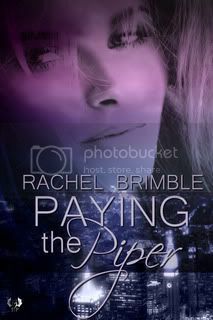 Much success with Paying The Piper! Sounds great! Thank you all of you again for taking the time to stop by to support Rachel…. Rachel….what a great interview. I can’t even begin to imagine what you went through in that flood! How terrifying. Your books look and sound terrific….I hoping for much success for you! Thanks for stopping by Isabella, Ciara & Penny – your compliments and comments are appreciated. Thank you so much! Sorry I was absent today but I was busy at the Oxford Literary Festival listening and then chatting with the formidable Jodi Picoult. Fabulous day!